As the bestselling segment in Canada's automobile market, light trucks (which include the ever-popular sports utility vehicles, pickup trucks and vans) accounted for 68.6 per cent of the market in 2017, according to DesRosiers Automobile Consultants Inc.
That figure was good for an 8.7-per-cent increase over the year before, but how do the manufacturers in that segment plan on increasing that dominance? When it comes to the SUV segment, the manufacturers unveiling new models at this month's Canadian International AutoShow in Toronto have firmly placed an emphasis on a few key areas in their newest creations. One of the endearing qualities of sports utility vehicles is their ability to appeal to car buyers across a range of life stages. 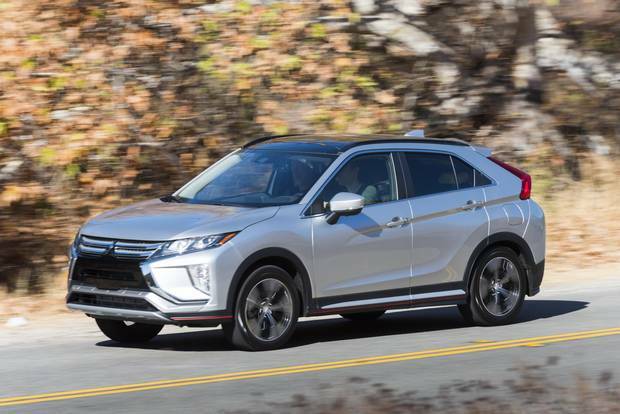 In unveiling its new Eclipse Cross compact SUV, Mitsubishi Motors has banked on this as a key selling point, particularly aiming its new release at millennials with their active lifestyles, and baby boomers, who want ease of entry and exit from the vehicle. Taking its inspiration for exterior styling from a crouched sprinter ready to explode out of the blocks, the Cross's coupe form is set apart by its wedge-shaped profile, while inside, the addition of a full-colour heads-up display keeps the driver in sync with what's going on with their car. "Here we have a vehicle that's got a lot of styling, it's got a lot of youthful things, it's got a lot of technology," says Tony Laframboise, president and chief executive at Mitsubishi Motor Sales of Canada Ltd.
"But an older buyer will see this vehicle as 'Wow, that's kind of a neat vehicle for me too. It's easy to get into, I've got all the extra legroom and I've got extra cargo space, so it suits my lifestyle as well.'" The 2018 Outlander PHEV, the world's top-selling plug-in hybrid SUV, also gives customers the ability to choose what kind of fuel economy they want to get out of their vehicles. That, according to Framboise, is where the sport-utility sector is heading. "This gives the customer the best of both worlds," he says. "That's where you're going with SUVs." The 2018 Mitsubishi Outlander PHEV is the world’s top-selling plug-in hybrid SUV. 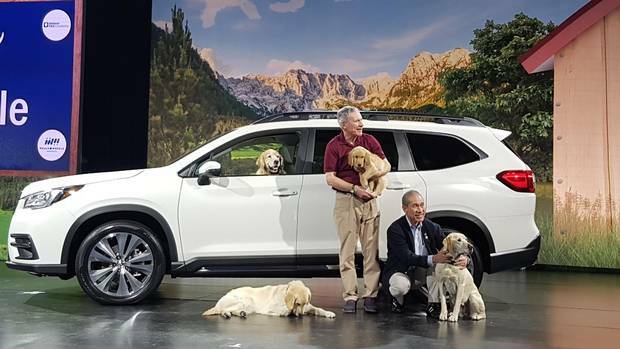 Realizing there was a hole in its lineup, Subaru displayed the new 2019 Ascent at the Canadian International AutoShow, an all-wheel-drive SUV with the capability for seating up to eight passengers. The company's marker research found that while it had popular SUVs such as the Forester, once families started to consist of kids aged 5 to 10, customers were leaving the brand and not returning until they were empty-nesters. The Ascent offers the space of a minivan without the stigma, Subaru Canada’s Anton Pawczuk says. The vehicle is aimed at buyers in their early 40s, looking to haul their kids and their friends to hockey practice, along with all the equipment, without having to resort to a minivan. "There's this stigma sometimes about minivans that I've heard – I don't know if it's true – but if you drive one of these you have all the comparable space," says Anton Pawczuk, senior director of product management for Subaru Canada Inc. "But you're driving a big SUV, so you could feel better about driving a big SUV; it's higher off the ground." Replicating last year's G-Class wasn't on the cards for Mercedes-Benz, which decided to completely overhaul G550 for 2019, retaining just three parts from the previous edition. As a result, the performance through its new dynamic select driving modes allow enhanced agility on any surface. As a former military vehicle, luxury wasn't always front of mind when it came to the G-Wagens, but Mercedes-Benz decided to change that with this iteration of the classic SUV. The interior is six inches longer, it's also wider and the whole ride is 250 pounds lighter. As Mercedes-Benz Canada president and CEO Brian Fulton puts it, when you step inside the G550, "you swear you're stepping inside an S-Class." The interior is fully finished by hand, and features creature comforts such as a touchpad controller and full smartphone integration. "It's a brand shaper for sure, but it has all the features and accessories that a luxury-car buyer wants to have even when driving a big G-Wagon like that," Fulton says. Calling it the new brand flagship, Volkswagen Group Canada Inc. president and CEO Daniel Weissland has certainly set the bar high for its new sedan/wagon/SUV, the Arteon. Featuring the dynamic lines and frameless side windows of a grand tourer, the wide-opening hatch at the rear, complete with 563-litre luggage compartment, gives the Arteon the ability to appeal to many different buyers. The Volkswagen Arteon has a 563-litre luggage compartment. Weissland says the driving behaviour is different than any other SUV, offering performance driving with a trunk that can carry everything a family might need for a weekend away camping. "The usability is great," he says. "It can be for families because of the trunk space, it can be used for business people if they want to sit in the back, even that is possible, or just somebody that wants to enjoy driving a nice sedan with a luxury and premium feeling." With two offerings in its 2019 SUV lineup, Kia has firmly placed an emphasis on technology in the vehicles. The new Sorento incorporates features such as driver attention warning, lane keep assist and QuantumLogic surround sound, while the Niro Plug-in Hybrid offers an estimated 42 kilometres of all-electric range, which boosts up to 900 km with one tank of gas. "Technology is probably the biggest thing that's shifted in our industry and this vehicle is packed with it," says Ted Lancaster, chief operating officer for Kia Canada Inc.
"Our UVO infotainment system allows consumers to be connected to the car remotely, through their smartphone, so if they want to start the car, if they've lost the car shopping they can find it."